Today was filled with fun creative stuff! It started out with my woodworking class. Class 4 of 6 is done. Only 2 of the 6 students showed up. The other student and I got tons of power tool time and one-on-one time with the instructor. Yay! 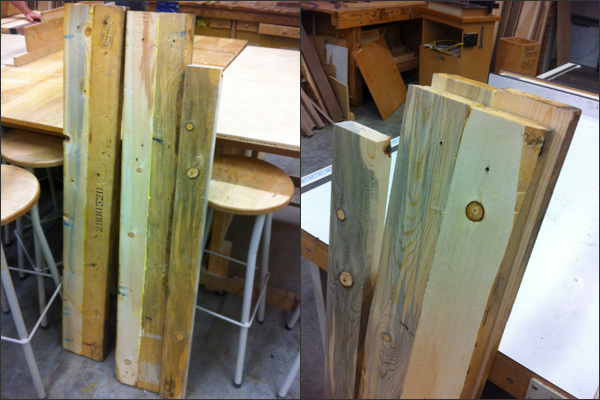 Here's the wood I glued last week. Today I put it through the planer to smooth out the surface. 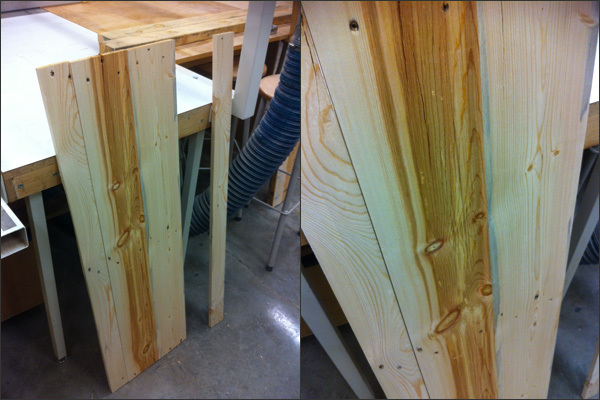 I also cut the fifth piece in half, used the joiner for the sides then glued it to the 2 sides. Each side uses 2.5 top pieces from my main pallet. 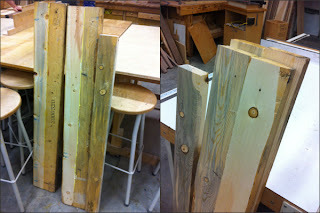 I then started gluing the 2 by 4s together from the bottom of my main pallet. I've decided to use the 2 by 4s for the back piece of my open cabinet. I was able to glue two 2 by 4s together and then two more 2 by 4s together - talk about efficient! Next week I'll glue these four 2 by 4s together and maybe even glue a fifth. This should be wide enough for the back piece of my cabinet. Next week I should have the sides and the back ready to go then I can work on the top and bottom pieces. 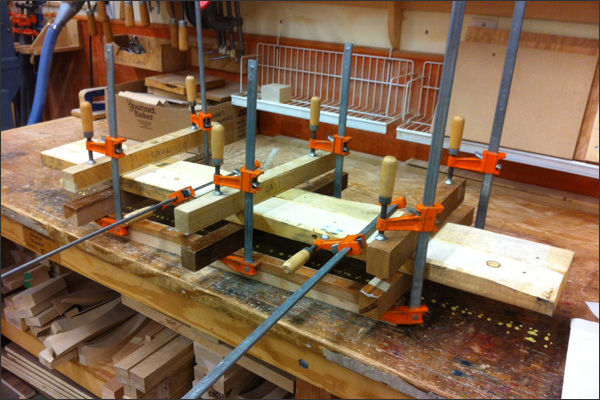 The top and bottom pieces will be made from the wood supplied by the course. I had planned to use it for the back but decided the wood from the wood pallet should be used for the sides and the back. Next class will be interesting... There's lots of gluing in my future! After class, I hit Collective Stone in Lonsdale Quay. They sell jewelry and jewelry making supplies. 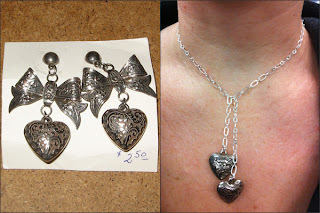 I took in my hearts and necklace I was going to combine together. I thought my idea for repurposing the earrings was good but then I talked to Holly. Holly rocked! We discussed ideas and this is what I ended up with. It's quite simple and elegant. We used a chain with larger sized links and turned it into a choker by adding a ring to connect the chain in the middle. 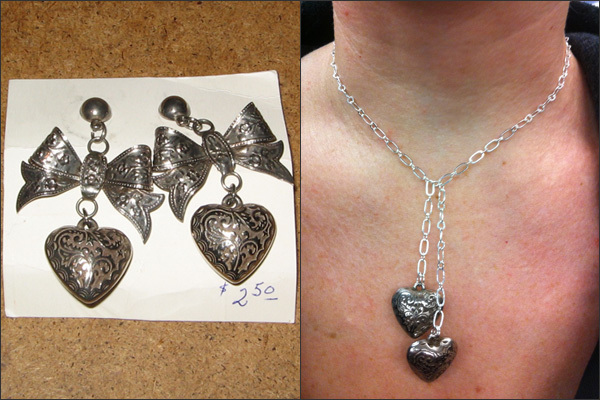 We then had the chain hang in 2 lengths and added the hearts to the end of each chain. Tonight I'll continue on with the creative vibe-age by sewing. 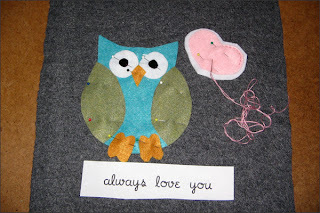 I'm making another owl pillow for one of my yoga peeps. Gina and Spencer are expecting a baby so this is my baby gift for them. I'm going to work on the hand-stitching tonight. Looking forward to some zen time. Hand-stitching is pretty darn relaxing. Today was one uber fabulous day!